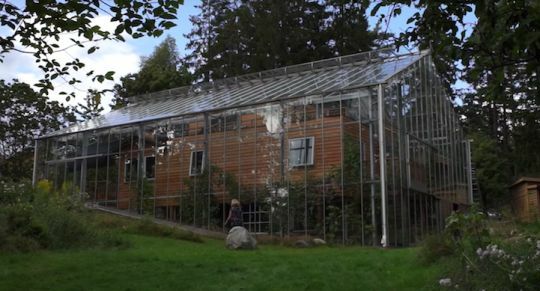 This is about a family that lives in a bubble…a house inside a greenhouse to be exact. What a great idea! This is a project I’ve fantasized about building for years but I’m happy to say this family has beaten me to it. With a durable enough greenhouse, the internal living quarters could be anything, even just a couple of sleeping bags. And next morning’s breakfast would be just a vine or fruit tree away!